You might remember that a couple weeks ago we told you about a dangerous new policy that Oregon regulators may adopt. We’ve lost 113,000 jobs in our state from 2007 through 2011. Tax revenues to fund our state’s schools and services are not keeping pace. More cuts may be necessary as the prospect for another economic downturn looms. And yet regulators are now seriously considering emulating California’s new “Low Carbon Fuel Standards” regulations that will cost between 9,000 and 29,000 Oregon jobs, will cost Oregon families up to $1,200 per year in fuel costs, and decrease state economic activity by a minimum of $600 million. 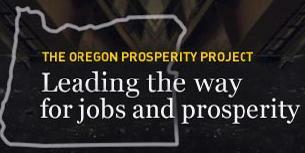 In short, it’s another unnecessary obstacle for Oregon’s slow economic recovery. The proposed Clean Fuel Program will only expose Oregonians to volatile price increases at the pump, additional government regulations of small businesses, and increase our already aggressive blending requirements for ethanol and other forms of bio diesel. The power to stop these regulations rests with the Oregon legislature, which means ultimately, it rests with you. That’s why a group of fuel users, consumers and business organizations opposed to the adoption of the proposed Clean Fuels Program in Oregon has banded together to form Oregonians for Sound Fuel Policy. You have far more power than you realize. Here’s what you can do. Limits on fuel use effectively cap Oregon to a flat economy while Oregon leaders seek to grab more for their government bureaucracies from the stagnate incomes of Oregonians. Renewable beyond uncompetitive ethanol produced in the U.S Midwest are not available in competitive price and quantity as yet and wont be at least for another generation. Why, why oh why does Oregon want to turn itself into the financial and economic basket case called California.